This is the other card I did using the same format as last Friday. 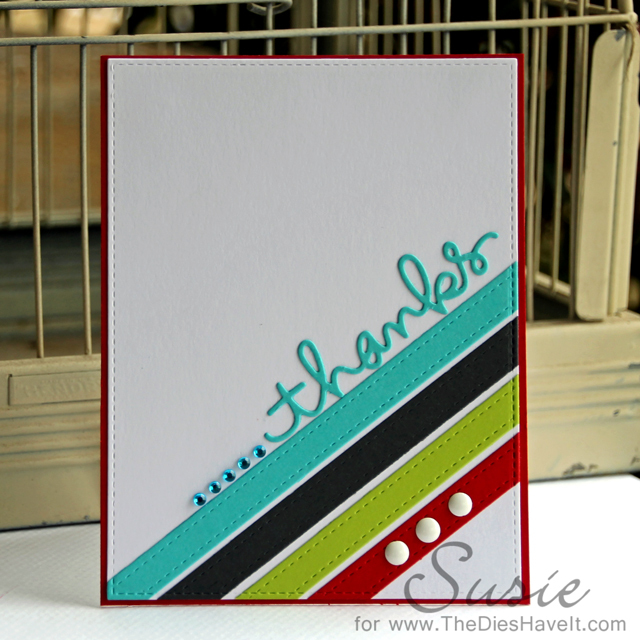 I just chose more vibrant colors and used a different THANKS die. It's nice to have a quick layout that you can go back to when you are short on time. I am sure this layout would work for plenty of sentiments. And of course, you don't need a die cut word - you could just stamp a sentiment! That's it for today. I'll be back tomorrow with TWO posts.